It's coming up to that time of year again, results day! We've come up with some helpful university guides to give you a little bit more info on what could be your new home for three years. Check out Chester below. Ranking in the top 100 universities in the UK according to the complete university guide, the university of Chester is a campus university that sits about 10 minutes away from the centre of Chester. The university itself has multiple academic strengths, from Social Sciences to Performing Arts, and offers an innovative work based learning programme to all second year undergraduates. Unless you live under a rock, you'll know that Chester is a wonderful home of channel 4's soap opera Hollyoaks! Go star spotting in the city or even apply to become and extra to earn a little student spending money. Fill your free periods with a spot of shopping at Grosvenor Shopping Centre which boasts over 60 high street stores and restaurants. Your UNiDAYS app is going to come in pretty handy when you move to Chester! Animal lovers, UK's number one zoo is basically on your doorstep (win! ), plus you can save up to 10% on your student ticket if you book online! 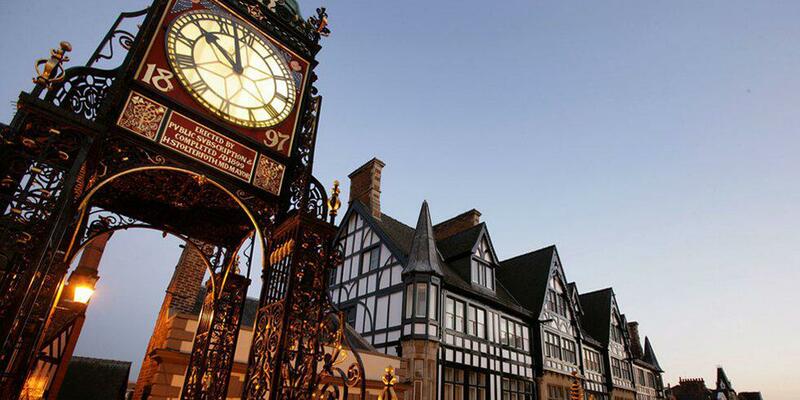 Chester is also home to one of the oldest racecourses in the UK. Why not enjoy a day at the races with your new student family and even try to win a bet or two while you're there. Chester sits on the boarder of North Wales and has easy access to the big city life of Liverpool. If you ever fancy a change of scenery, trains take around 45 minutes to take you into the heart of Liverpool. Looking for some decent nightlife from your new student town? Cruise is a good place to start. Housing six, that's right SIX different themed rooms from Manhattan Disco to Bangkok and maximum entry fees of £5, you'll be having a blast this freshers' week! We love a good brunch session, and Off The Waffle will have you in brunching heaven! With a selection of dreamy waffles and crepes good enough to post on Instagram, you'll definitely want to give them a visit.